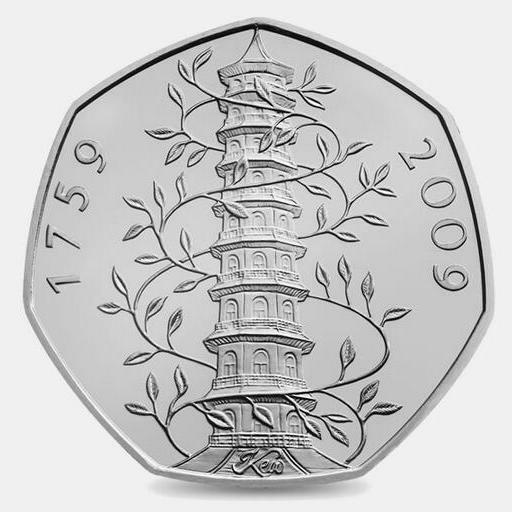 Numismatic news coming out of the United Kingdom is that after seeing the collector price of 50 pence circulating commemorative coins rise, the Royal Mint will be reissuing many of those coins. Using the designs of some of the most popular coins being traded online, the Royal Mint will be issuing two sets of five commemorative coins to celebrate the 50p coin’s 50th anniversary. The 50p coin was introduced in 1969 as part of the UK’s transition to decimalization following the introduction of new 5p (to replace the shilling) and 10p (to replace the florin) coins. As the coins began to circulate, some of the lower denominations were withdrawn. On February 15, 1971, British merchants stopped issuing coins that were based on the 240 pence-based Pound and issued change using the decimalization currency known as New Pounds. Although the coins will be issued as part of commemorative sets with 2019 dates, some feel that the Royal Mint is doing this to manipulate the market to reduce the collector value of its coins. Officials of the Royal Mint has denied the accusation. Could the reissue of coins with previous designs hurt the value of the collectors market? In the United States, collectors demand the use of classic designs and that has had no impact on the collector market. However, the coins were issued as part of precious metals programs that has almost no competition with the collectible coin market. When was the last time someone decided that the Walking Liberty half-dollar was not worth collecting because the American Silver Eagle uses the same design? If the Royal Mint mint limits the issue of the coins to the sets they announced, then the awareness of the coins could enhance the British collectors market. However, if the Royal Mint changes their mind and issues the coins for circulation, the collector market could be impacted in a manner similar to the general collectibles market of the 1980s where companies overproduced and overhyped their products.